Cherry Hill Mayor Chuck Cahn will run for a second term in November, promising to continue his record of efficient and effective governing. 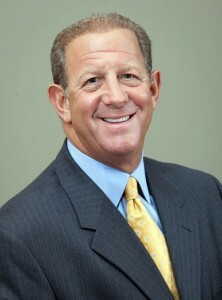 Cahn announced his candidacy on March 24. He will join council members Brian Bauerle, Melinda Kane and Sara Lipsett on the ticket. Cahn, who donates his salary back to taxpayers, has used his business experience to improve government efficiency and pave the way for three consecutive years without a municipal tax increase. At the same time, the township has made smart investments in infrastructure and municipal services that have helped attract and retain young families, while making the community an affordable, attractive place for seniors to live. Making smart investments in roads, sewers, public safety, and recreation. Leading the fight to preserve open space throughout Cherry Hill, including the historic Woodcrest Country Club property. Continuing the commitment to work hand-in-hand with the Cherry Hill Police Department to keep Cherry Hill residents, businesses, visitors, and roadways safe. Adopting property maintenance regulations designed to keep our neighborhoods clean and attractive, including a registration requirement for owners of vacant properties to ensure they are properly secured and maintained. Securing nearly $4 million in grant funding, allowing the township to maintain high-quality services without spending tax dollars. Aggressively managing the township’s debt and working to minimize new debt to save taxpayers millions of dollars. Implementing a ban on smoking in public parks and playgrounds to improve air quality, reduce litter and promote public health and welfare. Committing to making Cherry Hill one of the most sustainable communities in New Jersey, creating a Township Green Team, adopting a bike and pedestrian master plan to make the Township safer and easier to navigate, and drafting a comprehensive Sustainability Master Plan. These efforts earned Cherry Hill a “Sustainability Champion” award in 2014 and made it the only town in South Jersey to be designated a “Healthy Town” by the NJ Mayor’s Wellness Campaign. Making government more accessible to constituents through the launch of a new website and expanded electronic services. Enhancing constituent services and community outreach by expanding the Township’s presence on social media, and launching the Cherry Hill Citizens Cabinet and Business Council to more effectively address the needs of residents and businesses. Working closely with Swim Club leaders to help them streamline costs and increase efficiencies, helping these facilities to remain solvent and continue to thrive. Building strong relationships with Cherry Hill Public Schools to improve education.